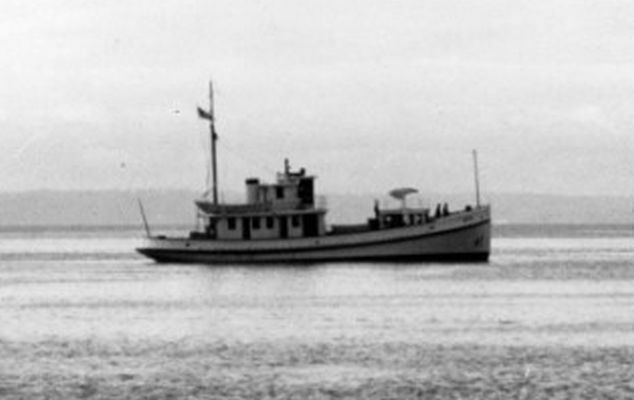 22k YP-73 underway, date and location unknown (probably in Puget Sound in late 1940). Note the 3"/23 gun forward. 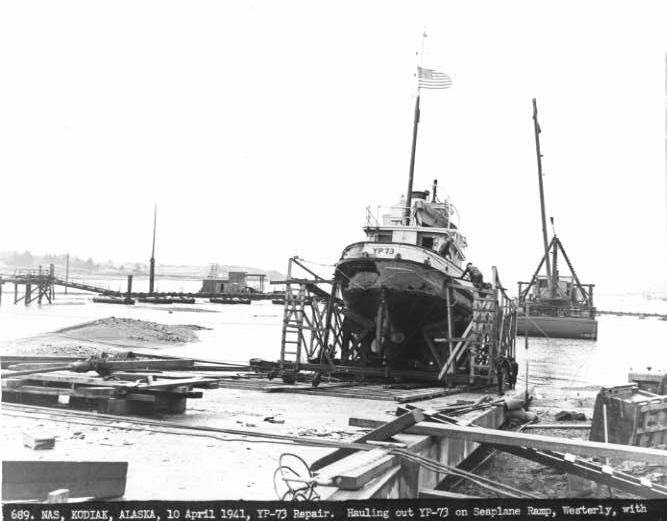 54k YP-73 hauled out on a seaplane ramp at Women's Bay, AK, 10 April 1941. US Navy photo from NAS Kodiak (VFW collection) Joe Radigan MACM USN Ret.